Marty McFly slipped on a pair of self-lacing Nikes in Back to the Future II close to 30 years ago. Since then many enthusiasts have been dreaming acquire them for themselves. Only a chosen few were lucky enough to try on some trial models in recent years. Nike is gearing up to launch a new self-lacing basketball shoe for the public that can also introduce tightness settings. 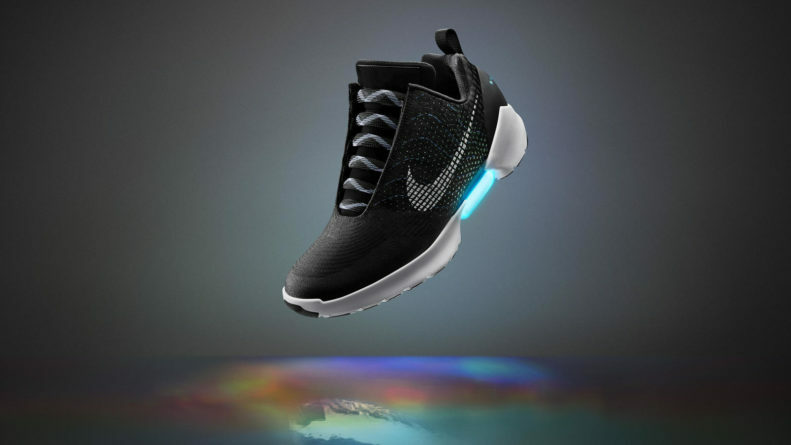 During Christmas 2018, Nike disclosed that its redesigned self-lacing shoes shall be made available in 2019. Prior to this announcement, 1,500 such shoes were introduced in 2011 and another special edition in 2015. The Nike HyperAdapt 1.0 sneakers then were launched in 2016, though they were sold at a huge price of US$720 a pair. The newly launched edition, Nike Adapt BB shoes are built for basketballers and integrate the company’s latest power-lacing system. When the user slips into the shoes, a motor and gear train take over and spontaneously adjust the tightness of the shoe until a warm fit is experienced. Nike claims its Adapt BB basketball shoes are extending more help than imagined during the pre-game. Nike says that users can enter altered tightness settings depending on the scenario, either by manual touch or with a companion smartphone app. For instance, they might enjoy a looser fit in the warmup, a tighter fit in between buzzers and then a looser fit again during a timeout or break in play. “During a normal basketball game the athlete’s foot changes and the ability to quickly change your fit by loosening your shoe to increase blood flow and then tighten again for performance is a key element that we believe will improve the athlete’s experience,” says Eric Avar, Nike VP Creative Director of Innovation. The Nike Adapt BB shoes hope to hit the market around the spring of 2019 (Northern Hemisphere) and at a price of $350. ← Smart Trash Can – A Smart Upgrade for Your Kitchen! !